An NLEA serving size is the amount of food that is generally consumed by one person during a single eating occasion. The U.S. Food and Drug Administration provides guidelines to food manufacturers for calculating the correct serving size. But healthy eaters should use different serving size guidelines to decide how much food to eat to reach and maintain a healthy weight. Many healthy eaters assume that the serving size listed on the Nutrition Facts label is the amount of food that they are supposed to eat. But that assumption is wrong. The serving size listed on food packages is not the recommended serving. And that’s the law. According to the Nutrition Labeling and Education Act (NLEA) serving size must be based on the amount of food we typically eat, not on the amount of food we should eat. So how do food manufacturers know how much of their product we typically eat? They are required to use a standard guideline called the Reference Amount Customarily Consumed (RACC) to calculate serving size. Reference amounts (RACCs) were developed by the Food and Drug Administration (FDA) after years of studying eating behavior. But as you might imagine, the amount of food we typically eat has changed over time. In many cases, we are eating larger portions of popular foods, like bagels and soft drinks. So, the way that the FDA determines what is a serving size can change as well. Serving Size or NLEA Serving Size: The amount of food typically consumed during a single eating occasion, based on the FDA’s RACC. Serving size is listed on the Nutrition Facts label. Recommended Serving Size: The amount of each food that you should eat as determined by various health organizations. Portion size: The amount of each food that you actually eat. So, which definition should you use to determine how much food to eat? You can use recommended serving size to guide your decisions. But it's generally best to get personalized recommendations for the amount of food to eat each day. To find out how much food to eat, you can visit a registered dietitian to discuss a healthy eating plan. You can also use an online calorie calculator to determine the number of calories you need. If you are trying to lose weight, you can use a calculator targeted for weight loss. Once you get your calorie goal, divide your calories between daily meals and snacks. For example, if you need to eat a standard 2,000 calorie per day diet, you might eat 500 calories at each of three meals and consume two snacks that total 250 calories each. Then choose correct portion sizes when you consume your meals to reach those calorie target goals. If you learn how to eat correct portions for weight loss or weight maintenance, you'll be more likely to reach a healthy weight and stay there for life. A serving size of vegetables is usually one cup of raw or cooked leafy greens or ½ cup of higher calorie vegetables like carrots. To find out how many servings of each food you should eat every day, you can use the USDA Supertracker. Serving size recommendations are based on your size, your gender, and your activity level. You can visit their website to customize a plan for healthy eating or weight loss. Code of Federal Regulations-Food Labeling. U.S. Food and Drug Administration. Food Serving Sizes Getting a Reality Check. U.S. Food and Drug Administration. Healthy Eating. Correct Portion Sizes: How to Keep Portion Distortion in Check. Dairy Council of California. Medline Plus. Portion Size. U.S. National Library of Medicine. 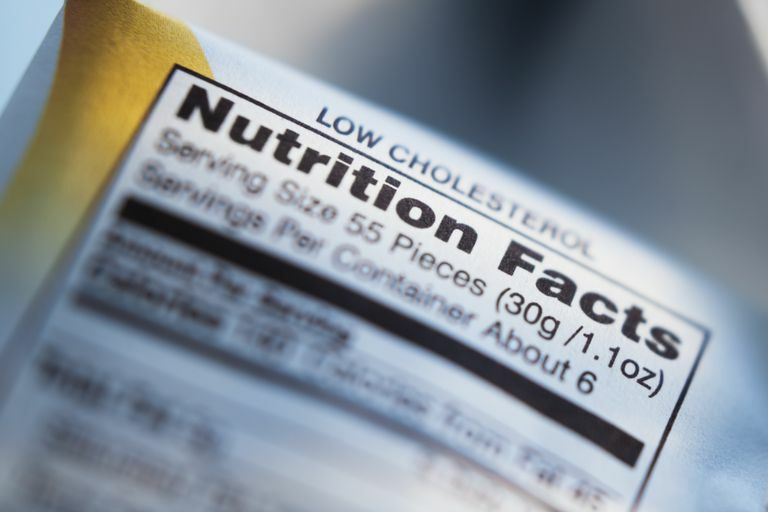 Proposed Changes to the Nutrition Facts Label. U.S. Food and Drug Administration. What Foods Can You Eat on the Sonoma Diet? What Is a Calorie in Food and Exercise?